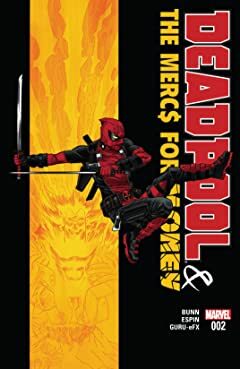 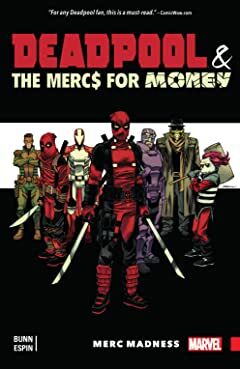 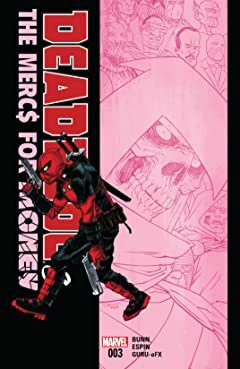 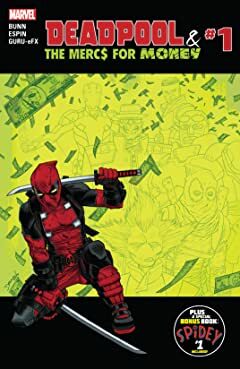 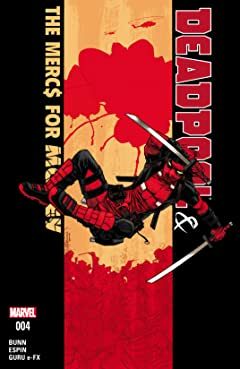 Deadpool might be an Avenger now, but he’s also got his own private team of mercenaries...the legally-cleared-to-be-called MERCS FOR MONEY! 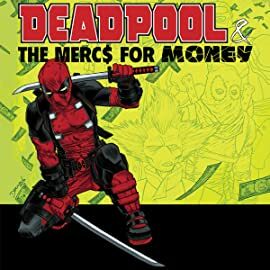 Got a problem you can’t solve on your own and a pile of money you’d like to be rid of? 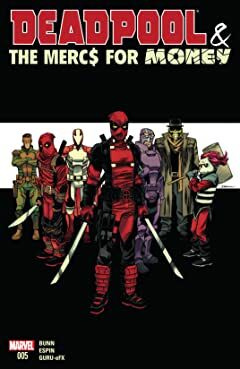 Just call Deadpool, Stingray, Massacre, Solo, Foolkiller, Terror and Slapstick and watch as that problem is shot, stabbed, eviscerated, pulverized and generally made bloody!